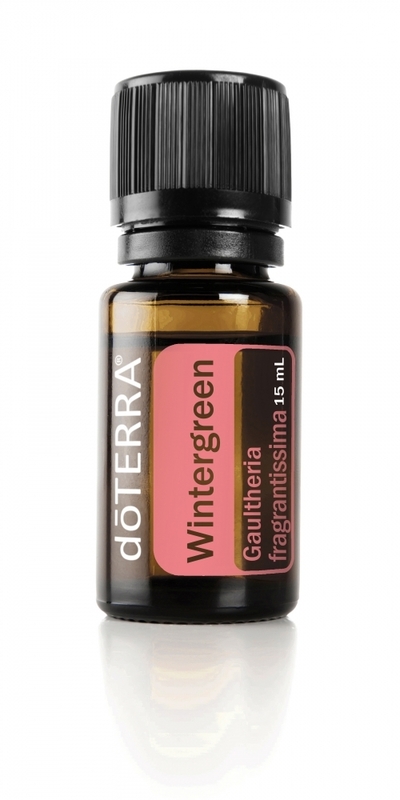 The essential oil of Wintergreen is obtained from the leaves of a creeping plant that grows where the conifers grow. The main chemical ingredient of green, methyl salicylate, is used in creams and massage blends as it works soothing. Greenland and birch are the only plants in the world that contain natural methyl salicylate. Small amounts of greenery are used for aroma in sweets, toothpaste and chewing gum. Zelenka has a refreshing aroma that stimulates and stimulates.DoTERRIN is a new source of greenery in Nepal (DOTERRA's Co-Impact Sourcing), where it is picked up by inhabitants of the villages (wild growing) and then distilled in rural distilleries. This represents an increased economic opportunity for the remote regions of rural Nepal. Wintergreen will warm us if it is applied to the skin and is excellent for use in soothing massages. It is smaller, therefore, it is used moderately and it is diluted with fractionated coconut oil, including the possibility of skin sensitization. For a soothing bath, add 1 - 2 drops of greenery to warm water.